Long-lived assets are those expected to provide an economic benefit to the reporting entity for a number of future periods. 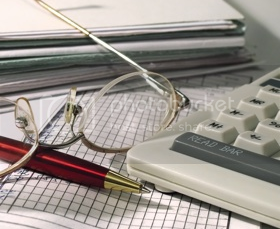 Both IFRS and GAAP regarding long-lived assets involves the determination of the appropriate amounts at which to initially record the assets—which amounts will include costs associated with any legal obligations to eventually retire the assets and the cost of interest incurred during construction. In addition, determinations must be made of the appropriate method to be used to allocate those amounts over the periods to be benefited subsequent increases in carrying value attributable to changes in the estimates of retirement costs to be incurred, the measurement of impairment losses, and the accounting for assets to be disposed of rather than kept in service. And to be compliance with all those requirements some procedures need to be set up. This post provides 7 essential procedures to proper long-lived asset treatment that comply with IFRS and GAAP you may want adopt. Enjoy! Step-1. Compare the type of asset to the company policy statement on asset types in the accounting policy manual. Step-2. Go to the PP&E register in the computer database and enter the asset under the correct asset category. Step-3. When adding the asset to the database, set the number of years of depreciation in accordance with the standard listed in the company policy statement on asset types. Step-4. Set the first-year depreciation at the half-year convention (if this is the practice). Step-5. Set the depreciation method as the _______ method. Step-6. Print the transaction and store it in the PP&E records manual. Step-7. Print the depreciation register and verify that the system has correctly calculated the depreciation expense for the newly added asset. Step-1. Obtain a list of all assets in a company location that is scheduled to be reviewed. Step-2. Check off all assets on the list as they are found and their tag numbers are matched to the list. Step-3. Make note of the tag numbers of all physical assets found that are not on the computer list for this location. Step-4. Inquire of the staff in the target location as to where the missing assets might be located. Enter these notes in the computer database, to be included in subsequent physical counts. Step-5. Go to the computer database and enter the correct physical location code for those assets found at the review location that were not listed on the report. Step-6. Go to the computer database and reset the location code to “Pending” for those assets not found in the location that were listed on the report. Step-7. If inquiries indicate that assets have been disposed of or transferred, refer the matter to the internal audit staff for review of potential control problems. Step-8. If assets have been disposed of or transferred, record a gain or loss based on the remaining net carrying value of the assets in question, and retire them from the PP&E assets register. Step-1. Determine if an asset purchase exceeds the corporate capitalization limit. If so, code the purchase into the appropriate asset account. If not, contact the assistant controller to verify which expense account is to be charged for the purchase. Step-2. Open the purchasing module and create a purchase transaction. Include in the asset account all expenses required to bring the asset to the company and install it. In the case of the current invoice in question, this means including the listed sales tax, delivery charges, and shipping insurance in the asset account. Step-3. Open the PP&E register and enter the asset’s name, account type, and location within the company. Also enter the asset tag number, if available. The system automatically will assign a depreciation calculation method, and period to the asset based on the account type to which it was assigned. Step-4. Verify that the amount listed in the PP&E register matches the amount entered for the purchase transaction. Step-1. Review each submitted capital expenditure form to ensure that all fields have been completed. If not, return the form to the sender with a note regarding the missing information. Step-2. Review all assumptions, which are noted at the bottom of the form. If these vary significantly from assumptions used for previous approved capital budgets, or if there are reasonable grounds for doubt, review them with the originating person, and modify them, if necessary, as well as all underlying numerical data. Step-3. Review all itemized cash flows with the project manager, purchasing staff, sales staff, and anyone else with a reasonable degree of knowledge regarding the amount or timing of the cash flows. Step-4. Adjust the amount or timing of cash flows in the capital expenditure analysis based on the preceding cash flow review. Step-5. Obtain the cost of capital from the controller, and use this to discount the stream of cash flows noted in the capital expenditure proposal. Step-6. If the project seems unusually risky, also recalculate the net present value using a higher discount rate, to be determined by the controller. Step-7. If the net present value is positive, then issue a favorable project recommendation to the controller and project sponsor. Step-8. If the net present value is negative, state the amount by which it is negative and the internal rate of return, so that the project sponsor can rework the assumptions and perhaps arrive at a positive net present value. Step-1. Receive documentation from the purchasing department regarding the sale of assets. This should include a signed Asset Disposition form that authorized someone to sell an asset. If the document is not signed by an authorized person, return it with a note asking for the appropriate signature. The document should be accompanied by a copy of the bill of sale and a copy of the check or other document that shows proof of the amount paid. Step-2. Once the sale documentation is complete, go to the PP&E database and call up the record for the asset being sold. The easiest way is to conduct a search based on the name of the asset, though the documentation may contain the asset number, which also can be used to find the correct record. Step-3. Write down the original asset cost and total accumulated depreciation, which is located in the record in the fixed asset database. Step-4. Subtract the sale amount and accumulated depreciation from the original asset cost. If there is a positive amount left over, this is a loss on the sale of the asset; if there is a negative amount left over, this is a gain on the sale of the asset. Step-5. Obtain a journal entry form and complete it for the gain or loss transaction. The asset’s original cost goes in the “Credit Column,” while the accumulated depreciation amount goes in the “Debit Column.” The sale amount is a debit to cash. If there is a gain, it is recorded as a credit, but a loss is recorded as a debit. Step-6. Access the PP&E database and record the sale of the asset. Print the fixed asset database after the transaction is recorded, and compare the total of the account to the general ledger to ensure that the information is recorded in the same amounts in both locations. Step-7. File a copy of the gain or loss calculation in the journal entry book and also in the permanent file documenting the addition or removal of these assets. Follow these seven steps to determine if the recoverable amount of an item of PP&E has dropped below its carrying value and to adjust the carrying value down to the recoverable value if this is the case. Note: Most assets have carrying values clustered near the corporate capitalization limit, making them so small that impairment testing would not result in significant asset valuation changes. Regardless, this procedure is designed to test the values of only the largest assets. Step-1. Sort the items of the PP&E register by declining net carrying value (e.g., original purchase price less accumulated depreciation). Step-2. For impairment testing, select those 20% of the listed assets containing 80% of the total carrying value of the asset register. Step-3. Determine the recoverable amounts for each of the selected assets—defined as the greater of net selling price and value in use, where value in use is equal to the total discounted cash flows expected to be generated—and list this amount next to their net carrying values. Step-4. Compare the net carrying value figure to the recoverable amount figure, and highlight those assets for which the carrying value is higher. Step-5. For the highlighted assets, determine the amount of the variance between the net carrying value and the recoverable value figure, and record an adjustment in the general ledger for this amount. (See the Journal Entries section for the entry format). Step-6. Reduce the net carrying values of all adjusted assets in the PP&E register to match the amount of their recoverable values. Step-7. Calculate depreciation based on the new reduced carrying value figures, and adjust any recurring depreciation journal entries to include these changes. Follow these four steps to determine if the recoverable value of an intangible asset is less than its carrying value and to adjust its carrying value downward if this is the case. Note: As opposed to the impairment testing on PP&E assets, impairment testing should be conducted on all intangible assets. Step-1. Print the asset register, selected only for intangible assets. Step-2. Determine the recoverable amounts for each of the selected assets—defined as the greater of net selling price and value in use, where value in use is equal to the total discounted cash flows expected to be generated—and list this amount next to their net carrying values. If intangible assets can be grouped by cash-generating unit, this information may be obtained by reviewing the budget for that unit. Step-3. Compare the carrying value figure for each intangible asset or related group of assets to its expected recoverable value figure. Step-4. Reduce the carrying values of all adjusted intangible assets in the intangible asset register to match the value of their recoverable amounts. How Do I Know If Fixed Assets Well Maintained or Not? How to Account Fixed Assets Acquired by Leasing?